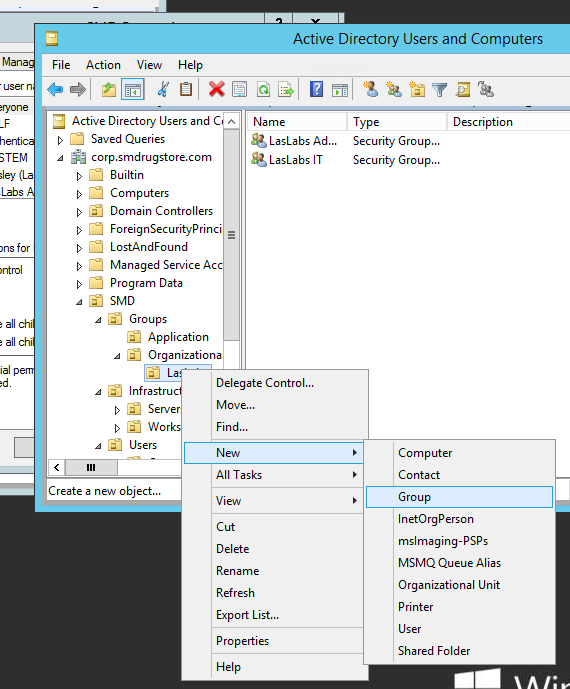 Today we will create an Active Directory admin group in Windows Server 2012 R2. 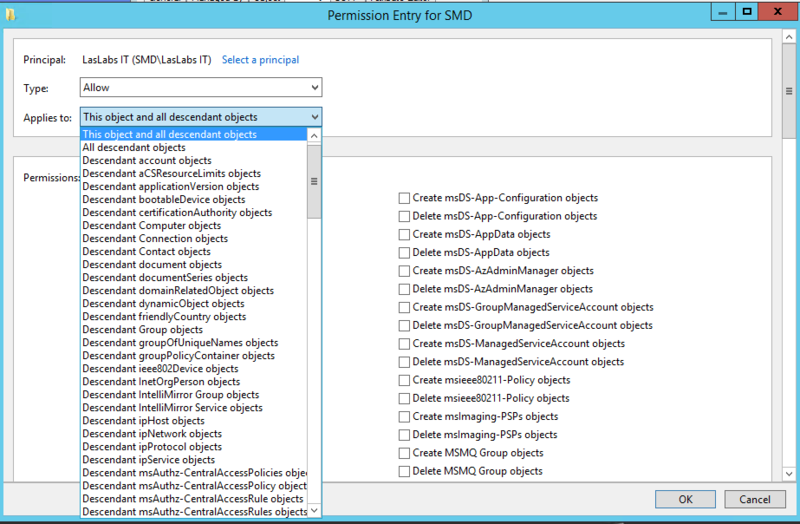 The new group will have typical administrator permissions on the OU that you select. We will be enabling User Creation, Password Resets, Group Creation/Deletion, and Computer Creation/Deletion. 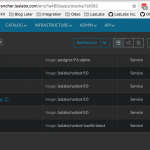 You can enable other permissions if you would like, but these are typically what a Service Desk/IT Agent in an Enterprise environment will require. 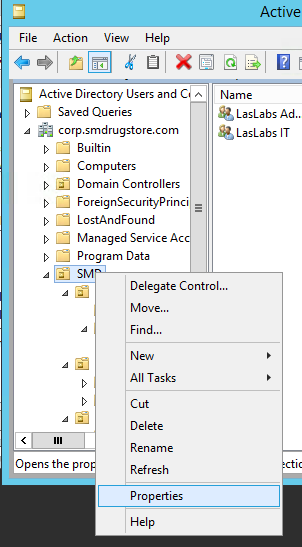 The easy way to go about this is through the Delegation of Control Wizard. 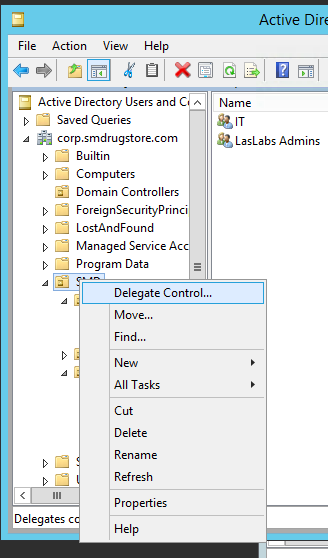 You now have an Active Directory Admin group that can be added to your Service Desk/IT staff without exposing the vitals of your environment.